All social media marketers wish there were a magic viral trick they could use to craft blog posts that their readers love, or Google+ post that spark reshares by the thousands. Alas, there isn't. (But if you know do let me know, ok). Each social media operates a bit differently, and each brand's followers have their own preferences and moods. The fact is that, there is no One-Size-Fits-All trick or strategy, however, there are some guidelines that can help you create the perfect social content. 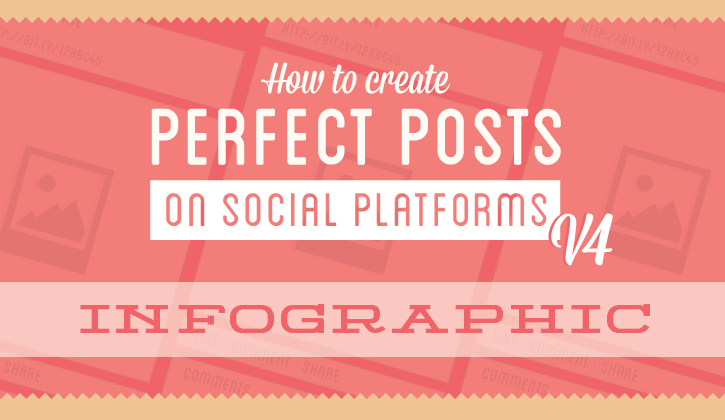 Luckily, our pals at mycleveragency have put together a terrific infographic, that breaks down how to create perfects posts for GooglePlus, YouTube, Blog, Tumblr, Vine, Twitter and Facebook. Engaging title: Your Title should grab people's attention, as it is the first thing a viewers will read. First paragraph: Make sure any keywords are features in the first sentence to grab people's attention (but avoid keyword stuffing). Word Count: Ideally keep your post to between 500-800 words. Relevant images: Adding an image or graphic to your post will make it more engaging for the reader and make the post more shareable. Take a look at this visual for more tips, hopefully these best practices will help you drum up your reach across social media.